In today's post, we want to bring to your attention this wonderful book by Adler Mortimer entitled "How to Speak How to Listen". Adler is best known for his classic"How to Read A Book" . In "How to Speak How to Listen", Adler provides some very helpful ideas and guidelines on the art of intelligent speaking and listening across different contexts. 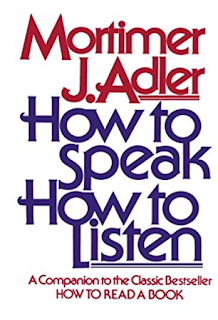 Adler argues that speaking and listening were not given their due worth in formal instruction in schools and that the emphasis was placed more on writing and reading.Moreover, for any effective communication to take place, students need explicit training on how to better speak and listen and Adler sketches out a wide variety of strategies together with illustrative examples on how to cultivate these communicational skills. 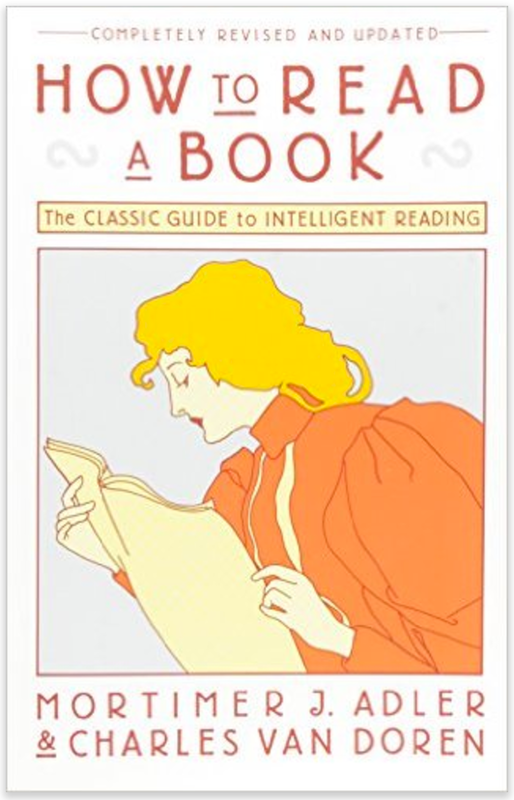 "Originally published in 1940, this book is a rare phenomenon, a living classic that introduces and elucidates the various levels of reading and how to achieve them—from elementary reading, through systematic skimming and inspectional reading, to speed reading. Readers will learn when and how to “judge a book by its cover,” and also how to X-ray it, read critically, and extract the author’s message from the text. 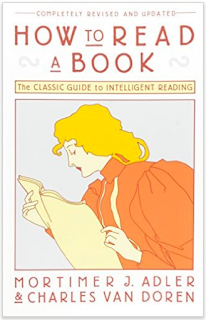 Also included is instruction in the different techniques that work best for reading particular genres, such as practical books, imaginative literature, plays, poetry, history, science and mathematics, philosophy and social science works. Finally, the authors offer a recommended reading list and supply reading tests you can use measure your own progress in reading skills, comprehension, and speed."